Wow! I can't believe how close to the end of this challenge we are! I've got a short post to share for today's theme of Inspired by the Supernatural. I really wasn't sure how to interpret this theme - just like with the flag theme, this feels like they ran out of ideas and just threw it into the mix at the end. But, since it's almost Halloween I figured I would keep with that theme and do something that can work for both! I'm mirroring what Meghan said in her post, inspired by a flag is the least inspiring of all the challenge themes. I really struggled with what to do for this. There are so many flags to choose from, but it felt wrong to choose some random country's flag that I had no association with. That narrowed down my choices substantially. California State flag or the US flag. I've lived in California my whole life and love it here. It's beautiful and has incredible variety wherever you go and I figured I couldn't not attempt the state flag of my state. Today I have some beautiful polishes to share with you from a new to me nail polish company. Aja Frierson is the brains behind Habit Cosmetics and has managed to create not only the most aesthetically pleasing bottle in the history of bottles, but she's filled them with some amazing polish. Habit polishes are made with Myrrh Extract so they naturally strengthen your nails while you wear them. They are Formaldehyde, Toluene, Dibutyl Phthalate (DBP) and Camphor free and aren't tested on animals (yay!). To top it all off, the packaging is sustainable - the caps are made with bamboo and are shipped in FSC Certified paperboard. Basically, they use less plastic and help reduce paper-waste. Inspired by Art was very intimidating for me. It's hard to look at someone's master piece(s) and say "Yeah, I can recreate that on a micro-scale and it's going to look just as good as that." While it's very loved style, impressionism is far and above my favorite type of art. I love the perceived randomness of the strokes that somehow work so flawlessly together and love the texture that is created when oils are used. There is just so much to love about it. I went back and forth between a ton of artists and struggled with whether I should do pieces that have been done before in nail art or if I should forge my own way with something that hadn't been done yet. I actually ended up complaining to the art expert herself, Meghan and asking for suggestions and guidance. In the end, I settled on Monet's Regatta at Argenteuil. I cheated a bit in that I only did 4 fingers, but I wanted to make a cohesive look across the even canvas of my fingers. What do you think of this look? 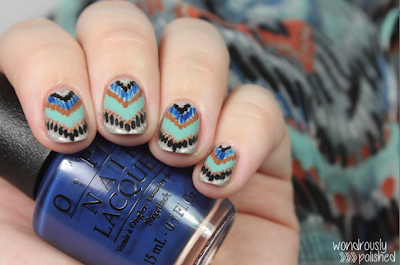 Do you like aztec print just as much as I do? I feel like the color palette is an excellent way to transition this summery print into the fall season. Happy Monday, all! First up today I've got a gruesome tutorial to share that I put together for the Lulu*s Blog! 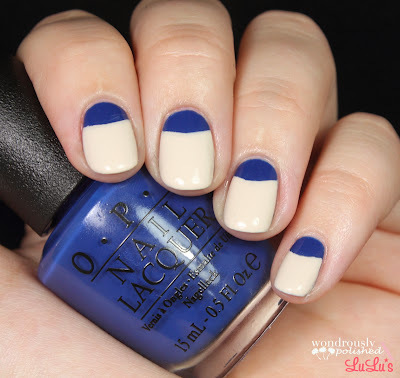 This is a super simple mani and there are several tutorials out there already...but I just love how it looks so much that I couldn't resist doing a tutorial for it. Head over the the Lulu*s blog for the how-to on this look. 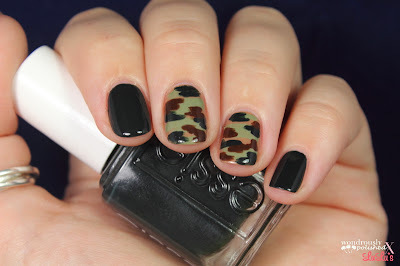 Are you guys planning any Halloween manis this month? Would you like to see me do any looks? I am so incredibly excited to announce that I now a proud member of The Digital Dozen! It should also come as no surprise that my girl Meghan from Will Paint Nails For Food will also be the latest newbie of the group! 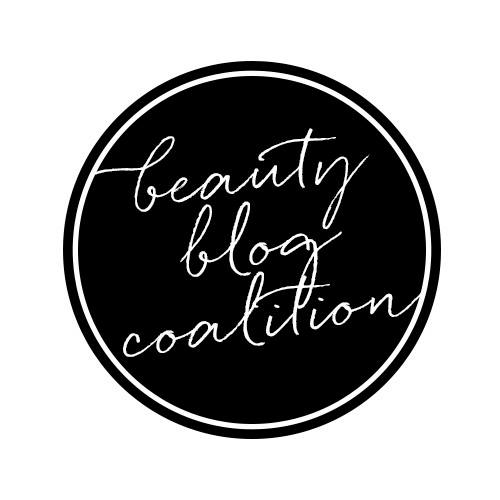 I am beyond ecstatic to have been asked to join this incredibly talented group of bloggers. I know I will learn more than I could ever hope to and that they will push me to be a better blogger and artist each month. For those who don't know, The Digital Dozen is a group of 24 - yes, we're technically two dozen ;) - knockout nail artists who love to challenge themselves by dedicating a week each month to creating 5 different manicures that fall within a specific theme. It is very daunting but these ladies are proof that it is doable. The Digital Dozen has recently embarked on a new and exciting expansion that involved the creation of a social media presence - e.g. a blog, Facebook, Twitter, Instagram, etc. The goal is to become the go-to place for all things nail art and nail polish. We'll have tips and tricks, tutorials, inspiration, and yes, probably even failures (even we make mistakes with regularity!). To say I am excited to be joining this group may be the understatement of the year. I have been forcing my excitement on the boyfriend, my friends, and random strangers who make the terrible mistake of making eye contact with me. 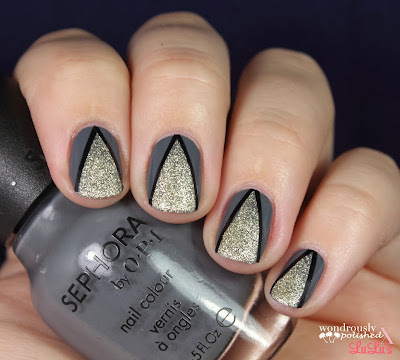 I have admired the work of this group since I got into nail art almost a year ago - my blogiversary is November 1st! Holy cow! - and always had what felt like the unattainable dream of joining them one day. I know that this group of ladies will push me to go outside of my comfort zone and challenge myself as an artist. I can't wait to see what the future holds! I will be participating in my first challenge starting in November, but in the mean time, you can check out The Digital Dozen on various social media sites to learn more. You can also meet the existing members of the Digital Dozen here! The theme for today's challenge is inspired by a pattern. I wasn't sure if I should stick with a type of pattern that everyone knows (e.g. plaid, stripes or paisley) or if I could find any pattern and be inspired by that. I decided to go with the latter. Though floral is still very much a pattern on it's own, I think it has a much broader range than some other patterns have. 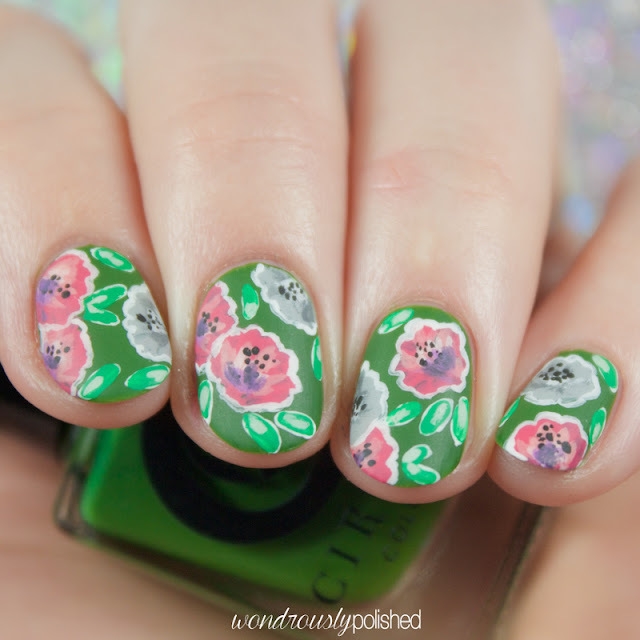 There are so many different combinations and types of floral that can be created and I think that is why I'm drawn to creating them in nail art. A few months ago I found a website by the name of Pattern Addict run by an incredibly talented lady named Gill. I love every single thing she has created on her site and when I was thinking of things to do for today's theme, I went strait to her website to feel inspired. There are so many great things to look through on her page, but in the end I went with this pattern. While mine doesn't quite do this print justice, I think I did a decent job of it. They are funky and different and I like that. Oh my gosh! If there is anyone out there who reads my blog regularly, you may have noticed that I've been MIA for the past 2 weeks (I can't believe it's been that long!). Meghan and I decided to take a brief hiatus from the 31 Day Challenge since we both had busy weeks last week. While I've been doing tutorials for other blogs over the past 2 weeks, I haven't quite managed to post them here yet - hopefully I'll have those up by tomorrow night! I missed you all! Anyway! We are both back tonight with our Fashion inspired nails! I am not exactly fashion savvy so I wasn't really sure where to even begin with this look but then friend of mine found this fabulous stained glass print dress from Alexander McQueen and I fell in love. I wish I had $1000 to drop on this dress! I have been looking forward to today's challenge theme since the very beginning - and now that it's here, it feels so underwhelming! I've wanted to do a mani based on one of my favorite kids books, Harold and His Purple Crayon. The story is about a little boy named Harold who one night decides he's going to for a walk with his purple crayon...but finds he doesn't have light to walk by so he draws himself the moon...and he soon find that his walk isn't very interesting so he draws some things to keep it interesting. You can see the book read here if you're interested! I decided to recreate some of the my favorite scenes from the book and here is the result!